YouTube is the second most popular search engine after Google. If you’re advertising anywhere online and you’re not advertising on YouTube, you are missing the boat. This episode number 155 is a deep dive into YouTube Advertising best practices. We’ve covered this topic before. All the way back in Episode 32, we had Tommie Powers also known as Tommie Traffic talking about how he built an eight-figure empire off of YouTube advertising. It’s a great episode. 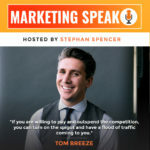 In this episode with Tom Breeze, who is an agency owner that specializes in YouTube advertising, it’s a wholly different perspective and I think you’re going to enjoy it. Tom Breeze is the Founder and CEO of Viewability, which specializes in YouTube advertising and boasts an impressive client list of international personal and corporate brands. Viewability is now the world’s largest performance-based YouTube advertising company. When you embed a YouTube video on your page, don’t let it autoplay. Instead, make sure your viewers need to click to start the video. This may seem counter-intuitive, but YouTube doesn’t count any viewing activity for embedded videos that autoplay. If your website’s visitors manually start the video, you get the credit you deserve for the time they spend watching it. 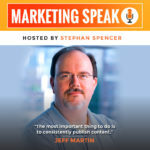 Jeff Martin, the Senior Vice President of Search and Social at Touchstorm, joins me to share this and many more tips related to YouTube. In this super tactical episode, we talk about all things YouTube including keyword tools, search ranking trackers, optimizing your thumbnails, the importance of descriptions, and whether having your YouTube content translated is worth the extra effort. If you love sweets, which do you think would be a better option: practicing and developing willpower by keeping a bag of candies in the house but only allowing yourself to eat one a day, or not bringing candy into the house at all to avoid expending your willpower reserves? While this podcast is about marketing rather than dieting, this is a perfect analogy for social media in terms of having apps on our phones and constant easy access. In today’s episode, Gavin McGarry and I take differing stances on this question as part of a conversation that covers social media, various types of groups, the differences between generations, the future of augmented reality, and much more. This is a very exciting episode for two main reasons. First, because it’s my first-ever Facebook Live podcast interview! I always do these as audio-only, but since today’s guest is the Facebook king, we’re making history here today and doing things in a new way. The second reason this is an exciting interview is because of the guest himself. Nick Kusmich, who I’ve known for a couple of years, is an absolute genius at Facebook advertising. 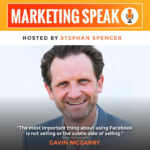 He knows the ins and outs of Facebook ads and campaigns, and puts this knowledge to work to get his clients the best possible results. In this conversation, Nick talks about his new book, Give. 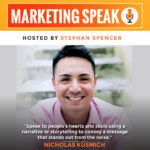 He shares several formulas and frameworks that he uses successfully, including the four Ms (message, market, magnet, and mechanism) and SAGE (short, actionable, goal-oriented, and easy). In short, he shares a splash of that secret sauce that he uses to achieve success for himself and his clients. 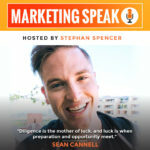 Today we're talking to Sean Cannell, who is an avid YouTuber and a cofounder of the popular YouTube channel Video Influencers. As you might suspect, that means he’s an expert on YouTube marketing. He’s the go-to guy if you want to improve your YouTube engagement or deepen your understanding of the platform. We get down to the nitty-gritty on how you can improve your presence on YouTube and Beyond!